First, I die cut a piece of Tim Holtz Distress Watercolor card stock using one of the Stitched Rectangle dies from Simon Says Stamp. 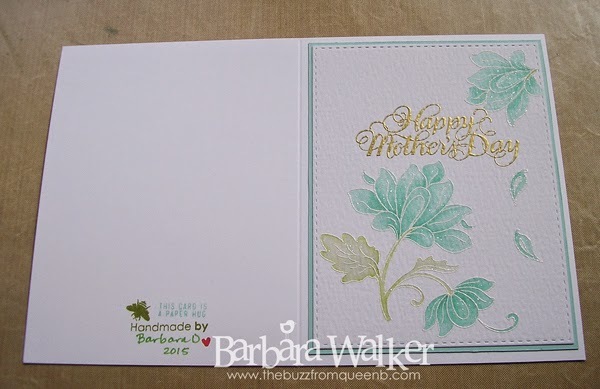 Then, I stamped the floral motifs with Versamark ink onto the textured side of the card stock, sprinkled on some white embossing powder and melted that with my heat tool. 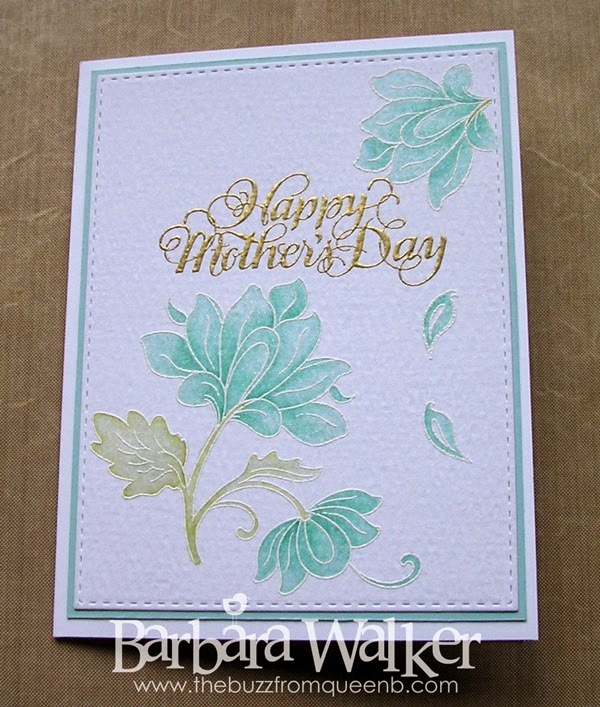 I stamped the Happy Mother's Day greeting with Versamark and covered that with gold embossing powder and heat set that. After I let it cool, I used painter's tape to temporarily adhere the card stock onto my watercolor board to make it easier to move the piece around and to help minimize warping. For this watercoloring session, I tried something different. I used Stampin' Up! ink pads. I just smooshed them onto my craft sheet and picked up the pigment and colored the image. After my piece was dry, I went over it all with a clear Wink of Stella glitter brush. I really wish you could see this in real life...I love the way it turned out. With the lighting in my studio, it was difficult capturing the true colors on this. And although, I would not think to pair aqua with gold, I think it looks nice. I took a picture of the card in the flat stage this time. I have scored my card stock, but I haven't creased the fold yet. I keep it this way because it is easier to stamp and sign the back and it also makes it easier to center the main panel onto the base. By the way, I use Neenah 110# card stock for my card bases. It's a nice heavy weight and it stands up well under lots of layers, and is the perfect card base for watercolor card stock. I finished off the inside of the card too. 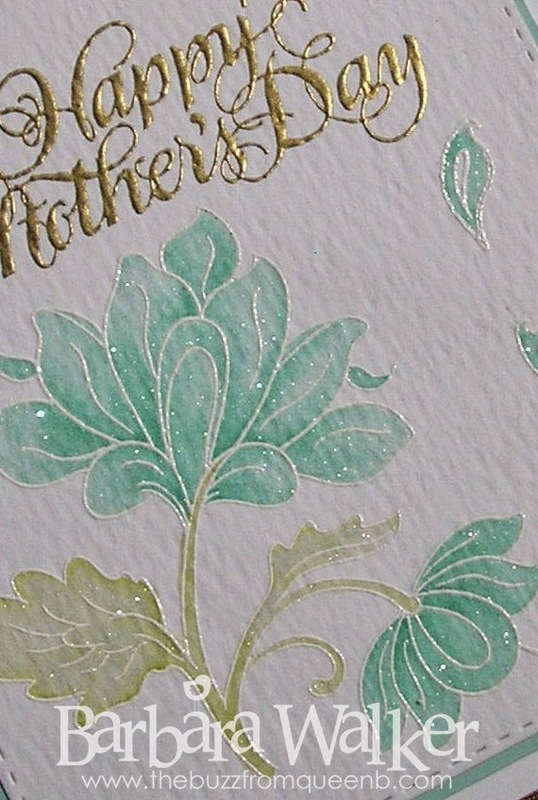 I die cut another panel with the Stitched Rectangle die, then stamped the motifs with Delicata Gold ink. For the sentiment, I used Pool Party and Old Olive. 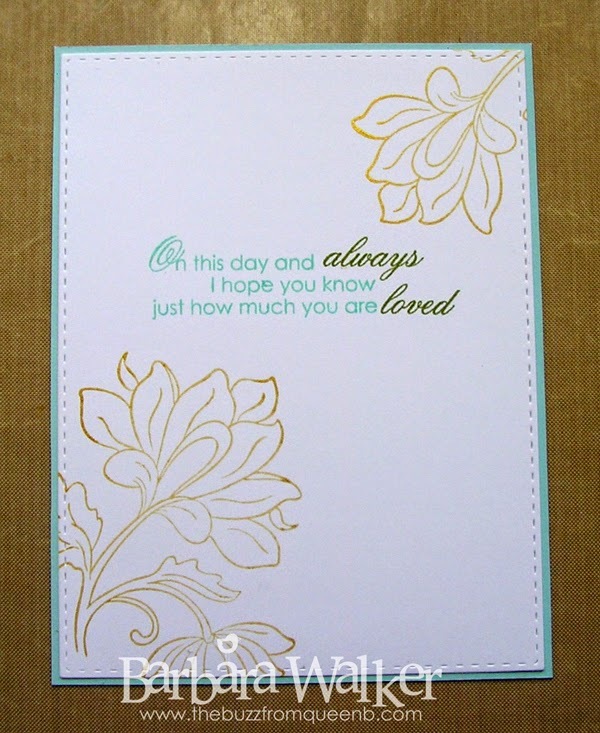 This is an older set from Papertrey Ink, called Heartfelt Basics and I just love it. I reach for it all the time. I like it because it has a lot of different verses and words that can be mixed and matched. And that makes it easy to use different color inks. Fun stuff! That's it for today. Thank you for stopping by. I appreciate the visit. Have a great week! Fabulous! 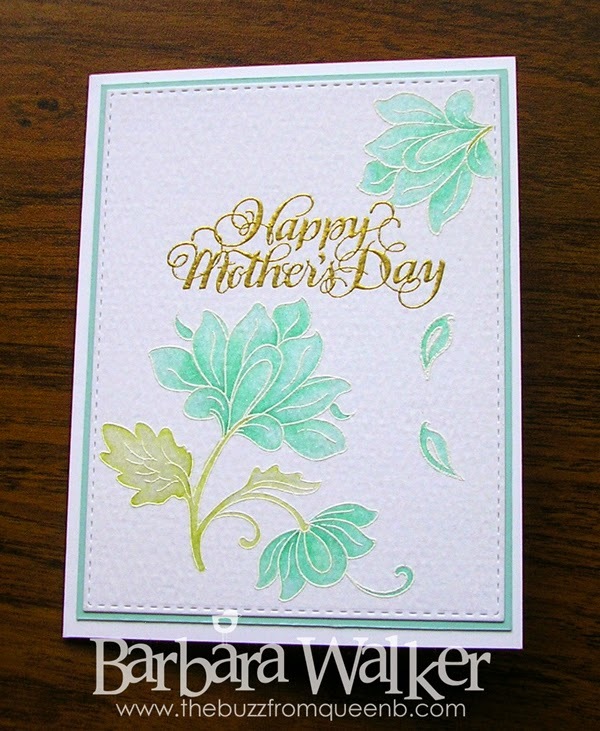 I'm currently working on Mother's Day cards using water coloring and the Persian Motifs stamp set too.